Latest Refrigerators from LG feature Low Voltage Startability LVS technology, which makes them energy efficient and rugged. 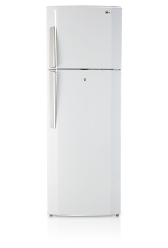 LG LVS refrigerators are built to handle power fluctuations, a common occurrence in developing countries. The LVS refrigerators from LG come with built-in voltage regulator which enables them to work even under severe voltage fluctuations. LG LVS refrigerators also feature latest refrigeration technologies to ensure your drinks are cold and your fruits and vegetable remain fresh. 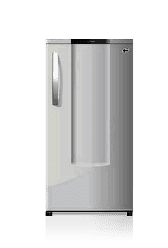 LG is currently promoting some of its LVS refrigerators in Nigeria like LG GL-205NP, LG GR-B342VML, LG GR-B312VML, LG GR-B282VPL, and LG-B252VPL. LG LVS Refrigerators feature built-in voltage stabiliser. This enables the refrigerators to operate under severe voltage fluctuations as it can work between 135V and 290V. The built-in voltage regulator will also automatically switch off the refrigerator if power supply fluctuates outside its operating range protecting the refrigerator from damage. LG LVS Refrigerators are built to handle erratic power supply, which is a common occurrence in developing countries. LG LVS refrigerators are energy efficient and run on environment friendly refrigerant. The new LG LVS Refrigerators come in either one-door or two-door models and are available in multiple colours. LG LVS Refrigerators feature multi-airflow cooling and moist balance crisper keeping your drinks cold and your food, fruits, and vegetable fresh. They also come with bio shield to protect fridge gasket from mould attacks. The entry level LG LVS refrigerator in Nigeria is the LG GL-205NP, which is a one door refrigerator with 185 litre total capacity. LG GL-205NP has a freezer compartment with a 24 litre capacity. It is about 1.14 metres high. 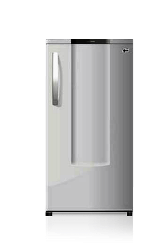 LG GL-205NP is the only one-door LVS refrigerator being promoted by LG in Nigeria presently. LG GR-B342VML is a two-door refrigerator with a total capacity of 290 litres. The freezer capacity is 65 litres. The LG GR-B342VML is 1.755 metres high and is great for family use. Retail price for LG LVS refrigerators in Nigeria will range from around N49,000 to N80,000. LG offers one year warranty on LG LVS refrigerators in Nigeria. LG LVS refrigerators are available at all LG showrooms and retail outlets in Nigeria. Find more information about other LG products, dealers, stores and shops in Nigeria, visit our LG authorised dealer page.